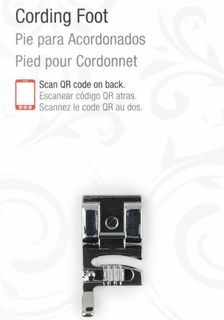 The Cording Foot is used to add surface embellishment to fabrics with cords, thin braids, embroidery floss or yarn. Experiment with decorative stitches and cord types for ultimate creativity. The Cording Foot may also be used to gather fabrics! Genuine SINGER Accessory. The Darning & Embroidery Foot is used for stippling when stipple quilting. 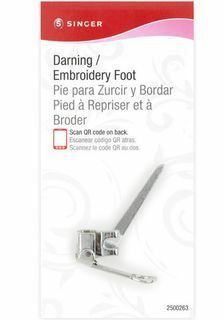 The Darning & Embroidery Foot is used for repairing holes or torn areas. 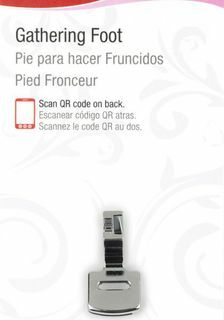 The Darning & Embroidery Foot is used for creating freehand monograms, freehand embroidery, thread painting and most free-motion sewing. The D&E Foot releases the fabric when the needle is in the up position, allowing you to move the fabric freely. Genuine SINGER Accessory for use with low-shank sewing machines. Singer 2032 sizes 90/14 and 100/16 For leather, vinyl. Fits most domestic sewing machines. The Pintuck Foot (for 7mm plate) is used for embellishing garments, table linens and bed linens, typically in conjunction with a twin needle not included. Working with a twin needle (SINGER Style 2025), the Pintuck Foot creates evenly-spaced raised tucks in the fabric. 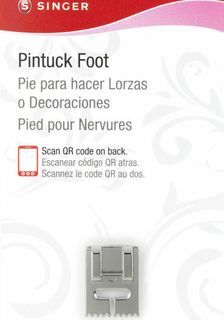 The Pintuck Foot has a series of evenly-spaced grooves on the underside which allows for perfectly parallel rows of raised tucks that will not be flattened when sewn. Increase the upper thread tension or add a cord for more pronounced tucks. Sew intersecting rows of tucks for interesting texture on the fabric! It works best with lightweight fabrics such as batiste, silk, and organdy. Genuine SINGER Accessory for use with low-shank sewing machines. The Rolled Hem Foot, also known as a Narrow Hem Foot, is used to sew a narrow rolled hem, providing a professional edge finish of 1/8 inch. The small rolled hem adds a perfect decorative finish to lightweight or sheer fabrics like those on scarves and blouses. The Rolled Hem Foot may also be used for couching over narrow cords. The Rolled Hem Foot works best with light to medium weight fabrics. 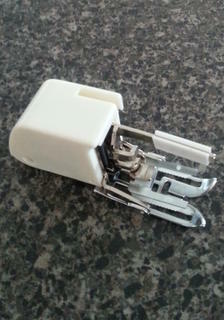 Genuine SINGER Accessory for use with low-shank sewing machines. The SINGER® ruffle attachment is used to create perfectly spaced pleats and gathers. It makes uniform pleats at set intervals and can tuck every twelfth stitch, sixth stitch, every stitch or not at all! 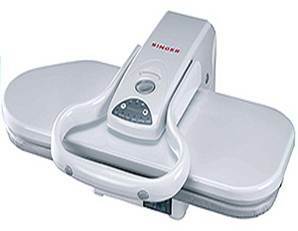 The SINGER® ruffler attachment works best with light to medium weight fabrics. Move the ruffle regulator to determine the frequency of tucks (it can tuck every twelfth stitch, sixth stitch, every stitch or not at all). Turn the adjusting screw to determine how much fabric is pushed into the attachment each time it tucks. 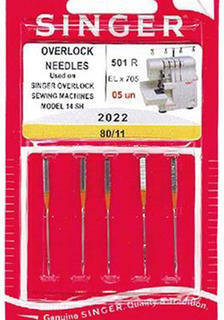 It is a genuine SINGER® for use with low-shank sewing machines. Singer walking foot, is used for sewing several layers of fabric, and is a must-have when quilting. It is also great for matching plaids or stripes and sewing fabrics with nap or pile, to keep them from shifting. The SINGER® even feed foot has its own set of feed dogs that work in conjunction with the sewing machine’s feeding system, for perfect fabric feeding! 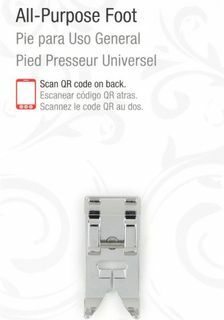 It is a genuine SINGER® Accessory for use with low-shank sewing machines. Sorry not available for international postage. 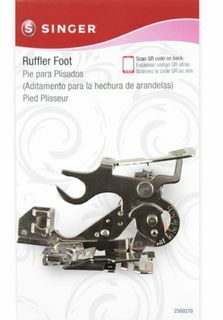 Primarily used for general sewing on most types of fabric, the SINGER® all-purpose foot may also be used for elastic insertion and basic mending. 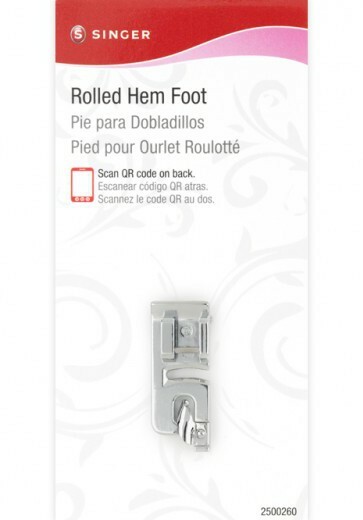 The foot’s wide needle slot allows for sewing of stitches up to 7mm in width. 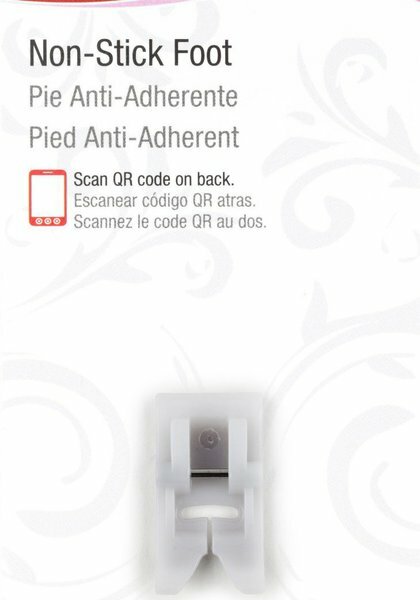 It is a genuine SINGER® accessory for use with low-shank sewing machines.